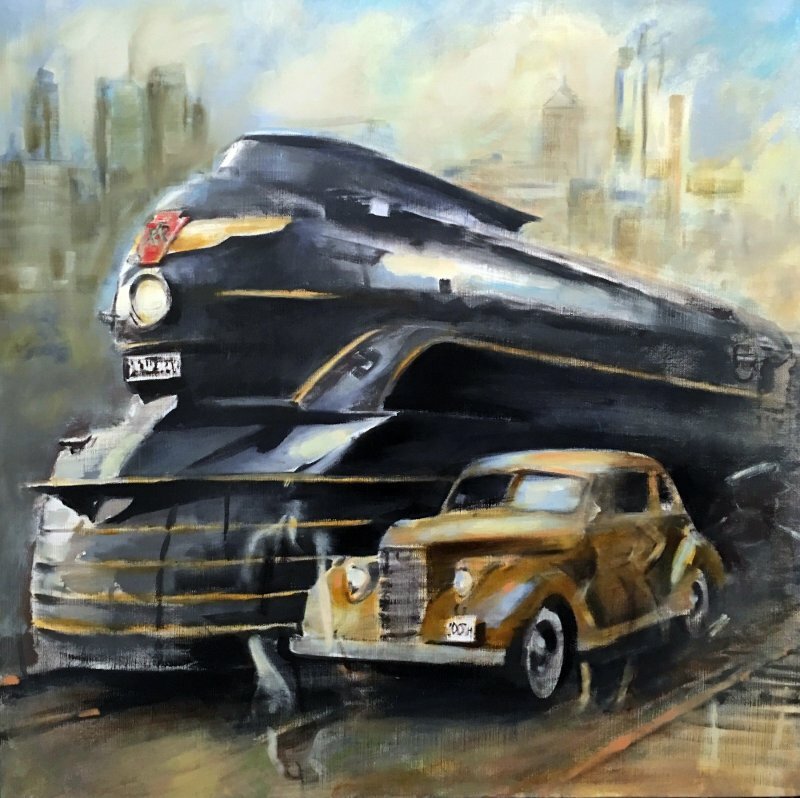 Gregg Chadwick grew up with the rails of America in his blood. His grandfather Arthur Desch stoked coal in steam engines before becoming a train engineer on the Jersey Central Line. At family gatherings in Chadwick’s grandparent’s home, his aunts and cousins played music to the rhythms of the trains outside. From Junior Parker, Elvis Presley, Bob Dylan and Johnny Cash, to arts writers and directors Greil Marcus and Jim Jarmusch, the enduring mythos of America and its legacy has been wrapped up in the blues notes of the song “Mystery Train”. Chadwick’s current series of paintings, Mystery Train, is steeped in the powerful echoes of those machine days.